Envision is GEOREKA’s geology viewer and the base package. It allows you to import and view a variety of geology data and display it in a powerful 3D environment. Envision comes with a slicing tool that also acts as an interactive cross-section plane that can be oriented in any arbitrary direction. 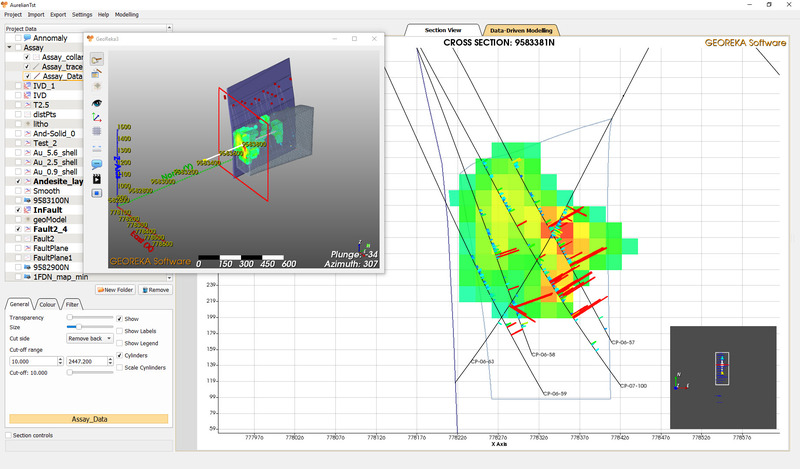 Visualization in a powerful geology viewer is the key ingredient to any geological model. From the start of the GEOREKA development a lot of focus has been on a easy yet powerful geology viewer. 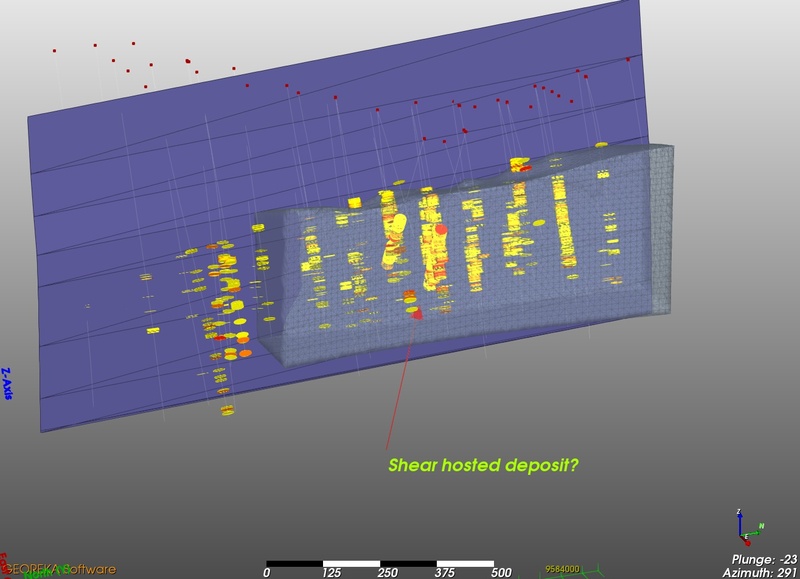 Using state-of-the-art rendering techniques GEOREKA provides high-quality visualization that rivals any geological modelling software. Combine a variety of data sources into a high-end 3D graphics environment to produce an insightful and stunning visualization. 3D section and slicing plane is linked to the section view. This means all visuals in 3D are consistent with the current section view. Interpretation of geology data can only follow good insight of all available knowledge. Therefore we strive to support as many geology data file types as possible. To further enhance understanding of the data, Envision provides all tools needed to reach the correct conclusions. Communication is the 3rd pillar of the Envision package. Visualizing and understanding the data is essential, but being able to communicate your understanding to others is equally important. 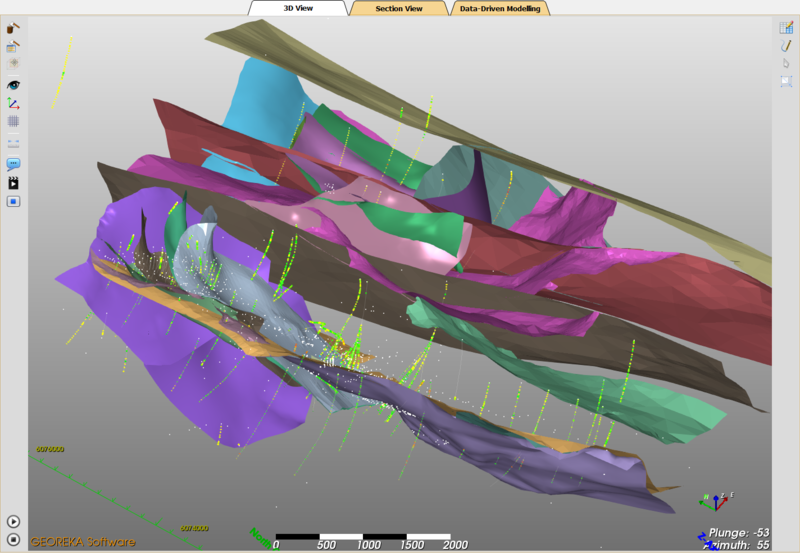 Envision allows for 3D comments to be attached to geology data. The dynamic section view and the batch export options help to share your insights to 3rd parties. Add comments to your 3D data and share your projects using our free project viewer.